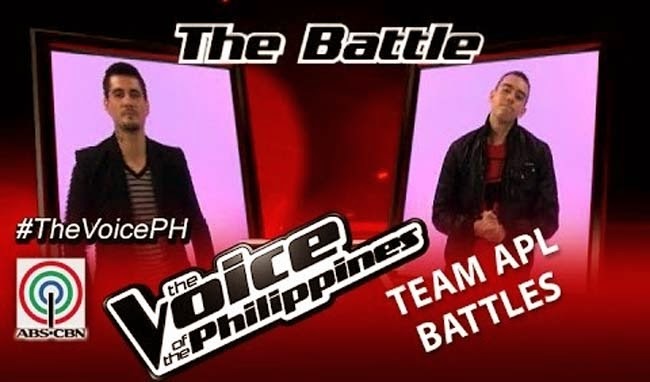 The Battle Rounds of The Voice of the Philippines Season 2 is around the corner, Team Apl’s Bradley Holmes and Jason Fernandez will sing off on December 6, 2014 for a chance to be in the next round. Bradley Holmes is dubbed as the ‘rocker dad’ after mesmerizing viewers with his rendition of ‘ Long Train Running’. The 31 year old half Mexican admitted that he had been into alcohol but decided to be better for his family. Trying his luck, he simply wanted to stay with his family more. Former Rivermaya lead vocalist, Jason Fernandez is coming back to the music industry with his entry song ‘Huling Elbimbo’. The audience was swooned by the epic song, and so is Apl De Ap. Bammboo himself was surprised to find out who was the man with the voice. Being a former vocalist of Rivermaya himself, Bamboo promised to root for him. The Battles Round Result: During the coaching session, Fernandez had expected to rival with Holmes as they have the same genre, rock. They have the same inspiration, their families especially with their children. Apl wanted them to add more emotion, so he invited in their kids during their rehearsal. The two got more motivated to do anything for them. On the Battle Rounds the rivals sang ‘I Would Do Anything For Love’. The audience seemed to have felt the emotions the had been flowing in their performance. Holmes saw the tears in his wife’s eyes. The coaches could not stop smiling. Lea said that Fernandez had been consistent. Sarah said that Fernandez indeed had done well. Bamboo said that Fernandez had shown his experience. Apl wanted to be assured that someone will steal in this round as he was unwilling to let go of anyone, but got no assurance. Apl had chosen Holmes. Lea and Sarah wanted to steal Fernandez and the artist chose Sarah.